In Ep. 138, we discussed the basics of vasopressor and inotrope use. During that podcast, I promised we would go more in-depth in subsequent episodes–this is one of those that will fulfill that promise. 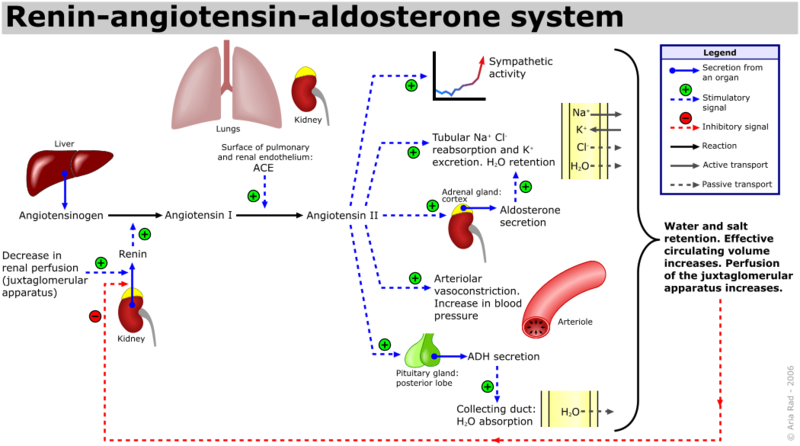 Angiotensin II is a new (old) player on the field. To discuss this topic and more on vasopressors, I asked Dr. Mink Chawla to join me on the podcast. Dr. Chawla is Chief Medical Officer of La Jolla Pharmaceuticals. Dr. Chawla was an Professor of Medicine at the George Washington University, where he had dual appointments in the Department of Anesthesiology and Critical Care Medicine and in the Department of Medicine, Division of Renal Diseases and Hypertension. Dr. Chawla was also the Chief of the Division of Intensive Care Medicine at the Washington D.C. Veterans Affairs Medical Center. During his tenure at George Washington, Dr. Chawla was the designer and lead investigator of a pilot study called the ATHOS (Angiotensin II for the Treatment of High Output Shock) trial. Dr. Chawla was an active investigator in shock, inflammation and extracorporeal therapies, including: continuous renal replacement therapy, dialysis and albumin dialysis. 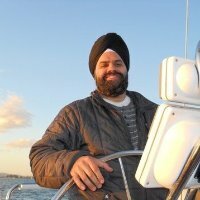 Dr. Chawla is also the author of over 100 peer-reviewed publications and an Associate Editor for the Clinical Journal of the American Society of Nephrology. Walsh & Sessler et al. Scott Weingart. EMCrit 201 – Deeper on Vasopressors and Athos 3 with Mink Chawla. EMCrit Blog. Published on June 12, 2017. Accessed on April 22nd 2019. Available at [https://emcrit.org/emcrit/deeper-vasopressors-athos-3/ ]. This Post was by the EMCrit Crew, published 2 years ago. We never spam; we hate spammers! Spammers probably work for the Joint Commission. of course i was a smidge skeptical listening to the CMO of the drug company that makes the med tell us about the med, but 1. i knew you would never have invited him unless you felt there was something worth considering, listening to, and 2. having listened, it was terribly thrilling to think we have a third arrow in our armamentarium.. a third pathway to consider to treat distributive shock, septic shock, perhaps. and third , how can i not listen to a NJ boy raised on philly cheesesteaks. he is a good, clear speaker, and as you said , a special niche of nephrology/crit care. and i suspect you don’t make it to CMO of an organization unless you at least seem to know what the heck you’re discussing. excellent, Scott , and Dr Chawla. I believe it was his initial work on Angio II that led to the position. This represents a potentially very exciting new receptor group to hit. Will need to keep an eye on this evidence but looks very cool. Having listened to this, I don’t share Dr Chawla’s view on adrenaline (epi). Adrenaline has helped/saved my patients on many more occasions than it’s harmed them. Particularly, that sub-set who seem exquisitely sensitive to adrenaline as opposed to noradrenaline. This is merely my clinical experience. I too love epi, but for me it is an inotrope. But that could also be that I lack good options from other classes than beta. Milrinone essentially winds up on the same path. I wonder where epi fits in folks that have access to levosimendan. 1.What would you opt for a post cpr patient.Should we give epi infusion because this was used during cpr also or we going to use it again if cardiac arrest occurs again. Pod cast on Angotensin 2 very interesting but with limited current role, very narrow marketing niche. Hence his interest in finding new applications. Hope he can do that, Otherwise my main take home point is to react immediately to low MAP. Anyone have experience with calcium bolus for low MAP? I learned this on the cardiac surgery ward and it works! we have a bunch of patients who are maxing out on multiple vasopressors, if that is the only niche, still feel it would fill a valuable role. i too was indoctrinated into the ways of calcium bolus and drip in the CTICU. I find in many patients the effect is brief–have you had lasting effects? I was taught that calcium is the inotrope par excellence. Other inotropes act via their effect on intracellular calcium flux. Intravenous administration of calcium chloride will stimulate myocardial contractility and raise the BP no matter what the cause of hypotension. I use it not in a drip but a bolus and its effects last about 10 to 15 minutes. Use in in near arrest situations while searching for a cause. I wonder when, in relation to the Marik study, this was recorded. I’d be interested in Dr. Chawla’s take on the relationship of Vit C and steroids. I have a feeling we will be repeating ADRENAL here in a few years to sort that out. If VitC+Steroids ultimately proves fruitful, what will be the role for ATII? even if metabolic therapy pans out, surely there will still be reisstant hypotension on mult. pressors, no? Perhaps a relatively simple question here. How are they identifying these “hyper-responders” with relative Angiotensin II deficits? I guess it’s like anything else in medicine….we are discovering phenotypes that have different responses to drugs/metabolites (e.g. codiene, coriander lol). Really enjoyed this talk. Dr Chawla is very articulate and clear. I’m glad he is proud of his research but doesn’t overstate the use of ATII til he’s got the data to back it up. I really enjoyed this episode. As a nurse, I’m a huge stickler for titrating drips to a MAP 65 and that there should be more of a sense of urgency when that MAP drops and not wait to react. There should be quick interventions for adequate perfusion. Unfortunately I have come across many cases where I would be maxed out on both my vasopressin and norepinephrine drips and I can barely get to a MAP of 60. So I’m finding this discussion on Angiotension promising for another agent to add to distributive shock therapy. I don’t think we are speaking about the same thing. I believe I made clear what Dutton’s concept of permissive hypotension was, but based on your comments I still may not have been clear enough. I believe you are lumping the just leave them under-resuscitated with high flow/low pressure normotensive strategy. May be worth listening to my original interview with Dutton on this topic. Hi Scott, can I ask you about reference on the photo?